Last year, we spent a few days in Split and Dubrovnik but had absolutely no idea how much money to bring. I looked online but couldn’t find any answers. I only knew that Croatia is cheap, so I decided to bring £200 as my travel budget for 7 days in Croatia to cover expenses for food, public transport and sightseeing. But was that enough? Find out below how much we spent in a week in Croatia. Public Transport is extremely cheap in Croatia – we took the local bus from the airport to the Old Town in Split for only 30kn. The bus departs just outside the terminal and tickets can be purchased on the bus. The bus ride takes about 30 minutes to the Old Town of Split. Bus from Split to Dubrovnik: 125kn + 7kn for luggage. We booked the tickets directly at the bus terminal 2 days in advance which turned out to be a wise idea. A couple of buses were already fully booked and when we arrived on our departure day our bus was FULL too. The bus route is a very scenic 4.5h ride, so make sure to grab yourself a window seat. Supermarket: Because our apartment was equipped with a kitchen, we’ve decided to get some food in the local supermarket. This is the total amount we spent on our breakfast and drinks including fresh croissants from the bakery. This is extremely cheap and a great way to stay within your budget. Restaurant & Drinks: We had breakfast in our apartment, which saved us some money and we paid between 70-100kn on a main meal in a restaurant. We also had a lot of ice-cream because it was really cheap (7kn). But not just that, cocktails were only 45kn and local beer 15kn. A great way to end a day! Bicycle tour: 80kn (for 4 hours). 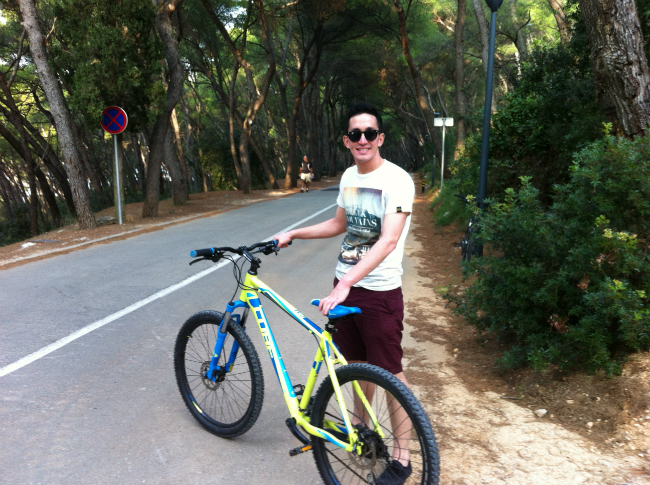 We rented 2 bicycles to explore the western part of Split a bit further. 4 hours is plenty and gives you enough time to explore this part in your pace. Day Boat tour to the Blue Cave and Hvar Island: 800kn. This was by far the most expensive cost we had. We bought the tickets at the harbour in Split and thought afterwards that it was a bit of a rip off. Always try to negotiate especially in low season. We’re also a bit unlucky and weren’t able to enter the Blue Cave due to high tights (which was the main event of the tour) but really enjoyed the Hvar Island. We’ve stayed in a rather nice apartment in the upper Old Town of Dubrovnik. The bedroom was nicely decorated and we even had German TV. The bathroom and kitchen were a bit old fashioned but since we didn’t spent a lot of time in the apartment, that was fine. If you stay outside the Old Town, it will be even cheaper. Public transport: The bus from Split arrived at the bus terminal in the western part of Dubrovnik. From there we got a local bus to the Old Town which is about a 5-10 minute ride. Tickets can be purchased on the bus for 15kn. Besides that we spent most of the time in the Old Town were no public transport is required. Airport Transfer: 35 kn to get from the Old Town to Dubrovnik Airport. Tickets can be purchased in the Old Town. The pick-up point is next to the cable car entrance. Supermarket: There are a few supermarkets in the Old Town and although it was more expensive than in Split, we’re able to save quite some money. In total, we spent 70kn which covered most of our breakfast. In the evening time, we usually went to a restaurant in the Old Town. Although we knew that it would be cheaper outside the walls, we’re too lazy and spent up to 200kn per day. We also treated ourselves to some ice-cream (10kn per scope) and drinks (65kn). Cable Car (return): 100 kn. The entrance is just outside the walls and it’s so worth taking the cable car up the hill. The views are amazing and if you’re lucky you’ll even see a sunset. Walk the City Walls: 100 kn. I loved walking the walls as you see the Old Town from a different angle. Plus you can walk around the whole Old Town. Boat trip to Lokrum: 75 kn. We’ve got a return ticket at the harbour and it just took us 2o minutes to the secluded island. It’s well worth a trip especially if you’re big fan of Games of Thrones as some scenes were filmed here. Day tour to Montenegro: 300 kn. 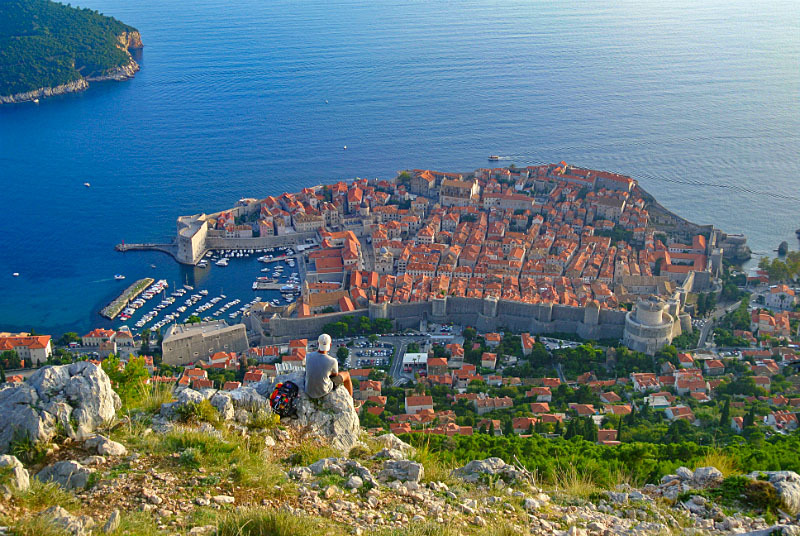 We booked the tour in Dubrovnik one day in advance with Metro tours. We got a good deal because it was already off-season and I can absolutely recommend the tour. So how much did I spent in total? We spent approx. £280 per person, which means £80 above budget. However, we treated ourselves to quite a few touristy things such as the boat trip in Split. 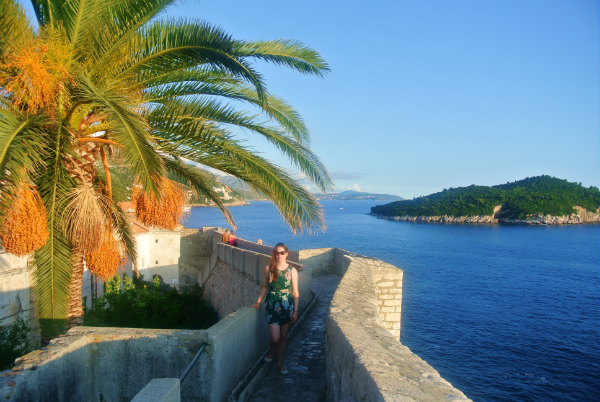 I found Croatia extremely budget-friendly and totally fell in love with this country. Is Croatia on your bucket list? Where would you go? Very Nice place and a worth a visit in 7 days …. 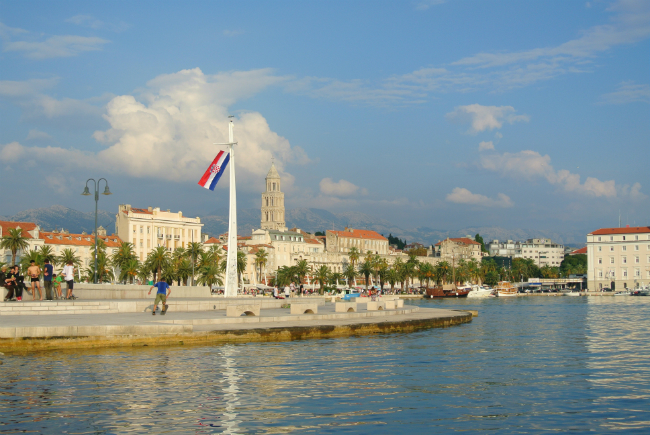 Croatia is a beautiful place….I prefer to go the next year. Hi, After a long time….very nice place and nice pictures…. Thanks, it’s an amazing country… wish I could go back soon!